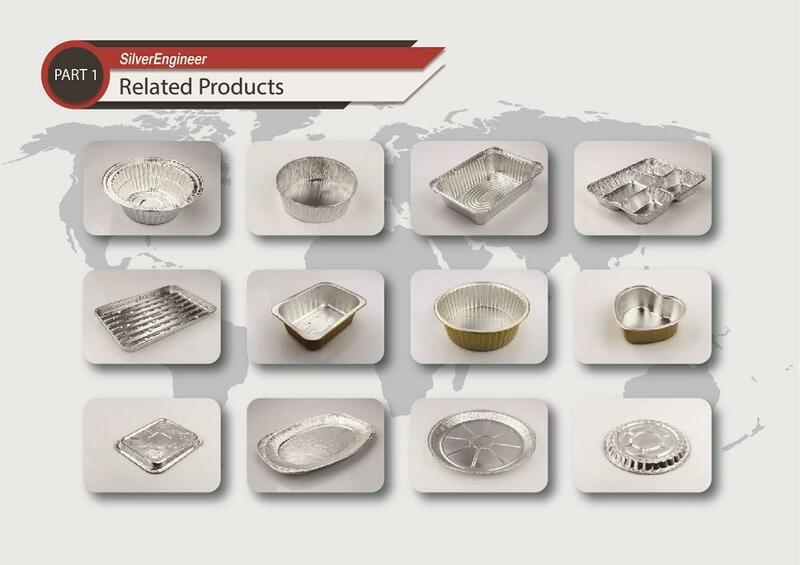 It fit for all common size Aluminium Foil Container production requested. 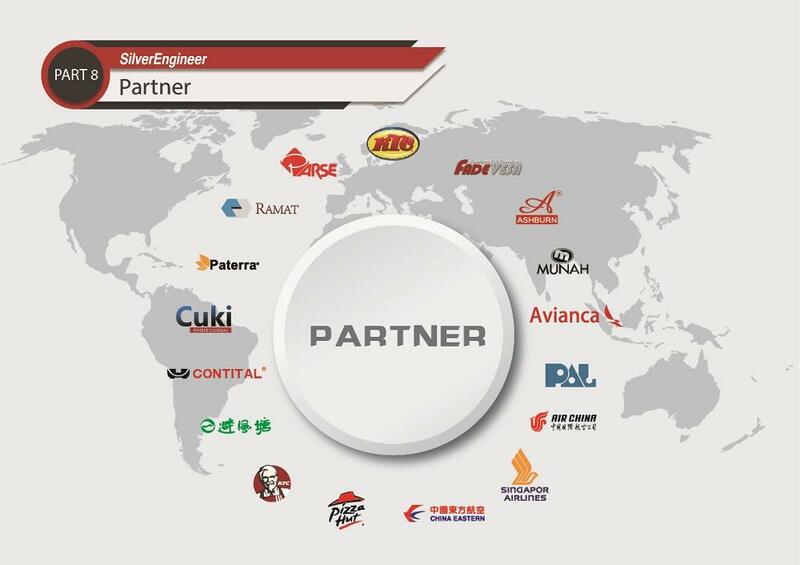 The Big capacity could to cover big range of size products. Lower power requested than other old model machines. 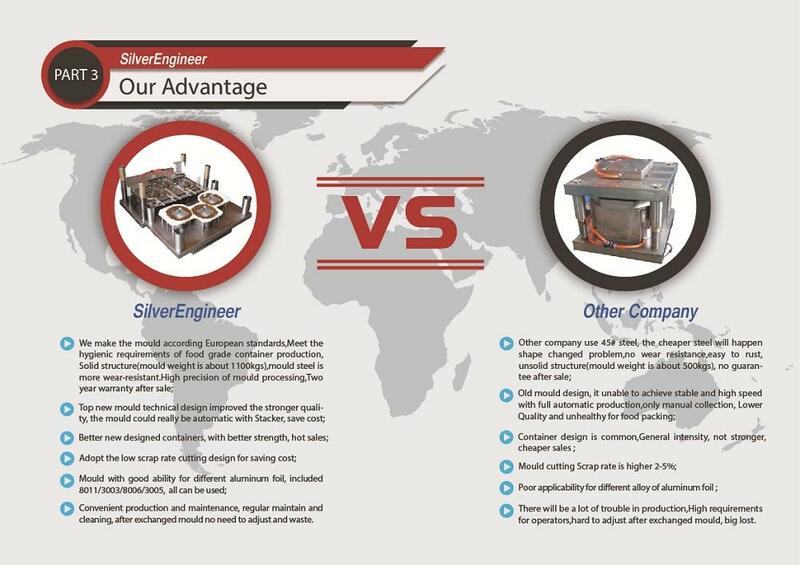 We are one of the rare manufacturers and traders in the aluminum foil container industry. 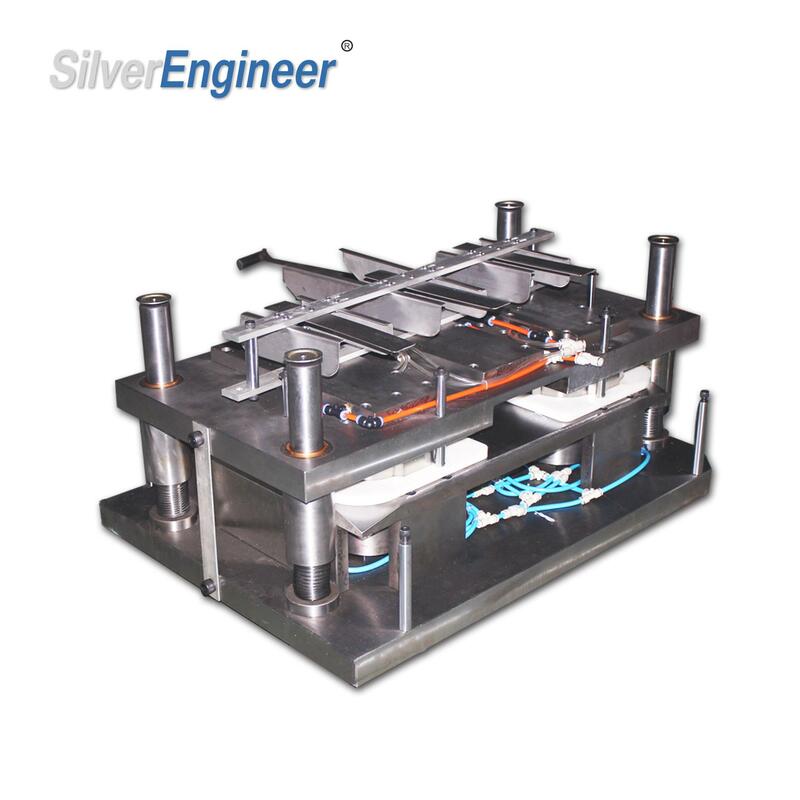 We produce the automatic smart aluminum foil container production line and the aluminum foil container mould ,aluminum foil container,aluminum foil container Paper Lid and so on. 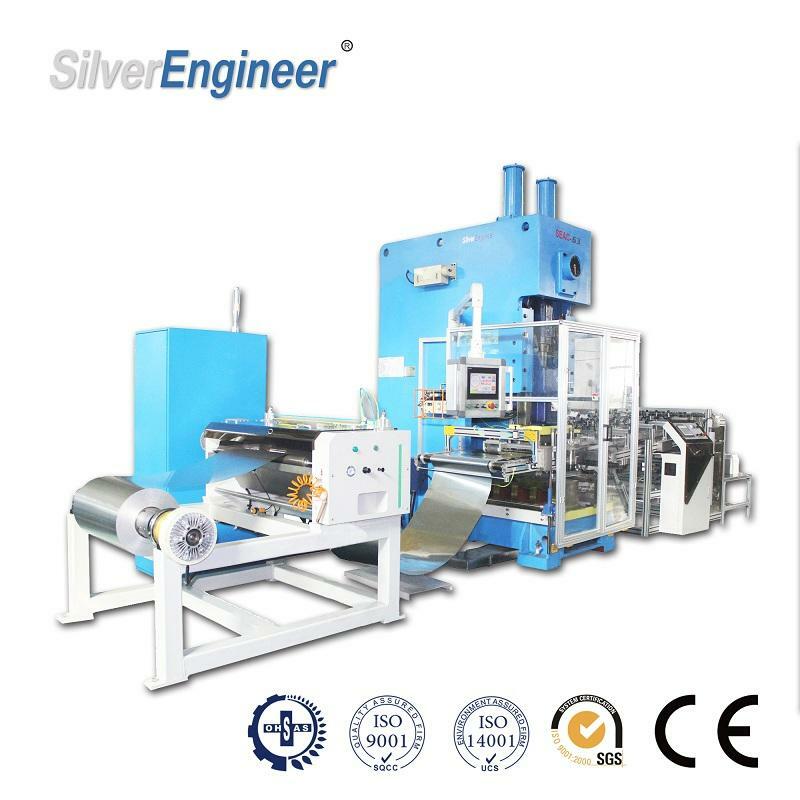 We can buy some special specifications aluminum foil with cheaper price, because our aluminum foil purchase is very large and the supplier likes it. 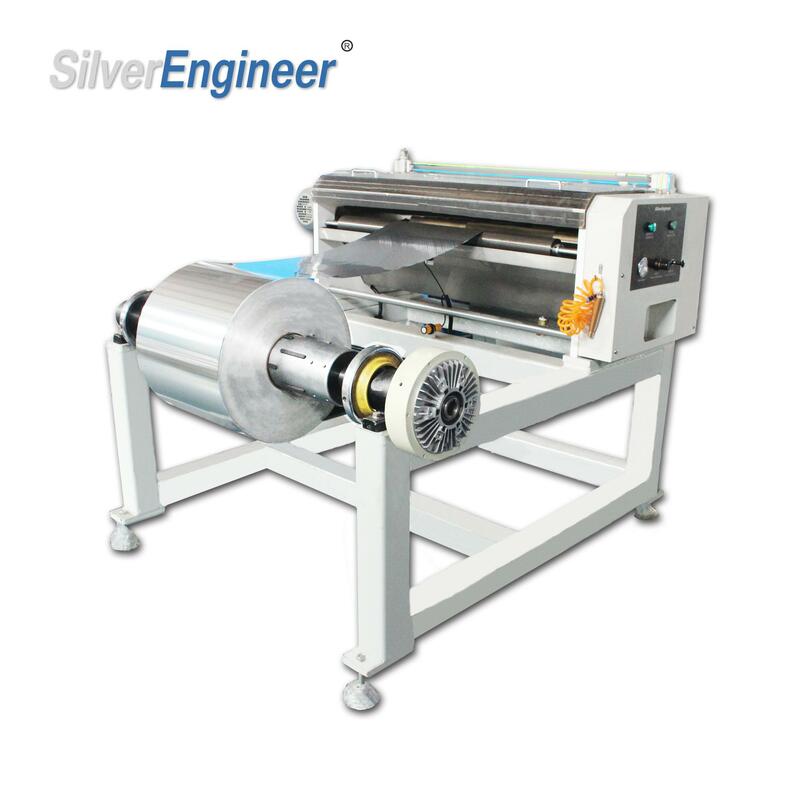 They are willing to provide us with relatively low price aluminum foil raw materials. 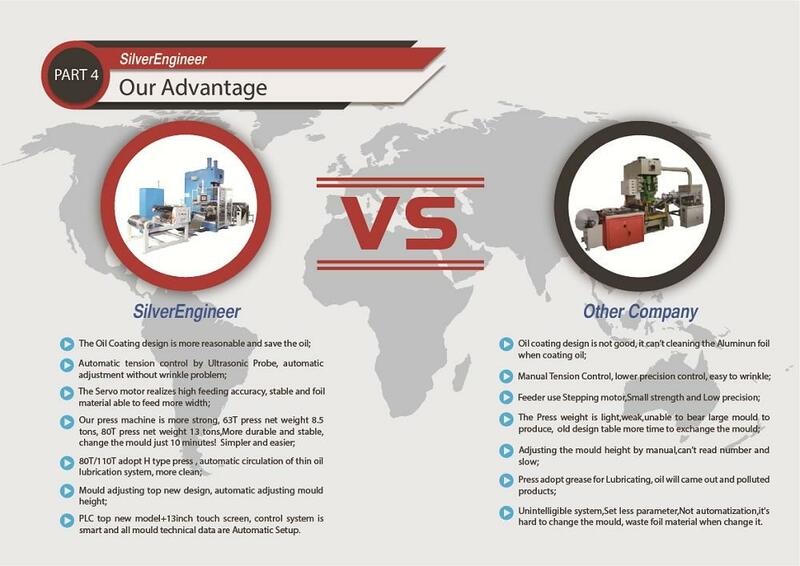 We can provide customized services for aluminum foil container customers. 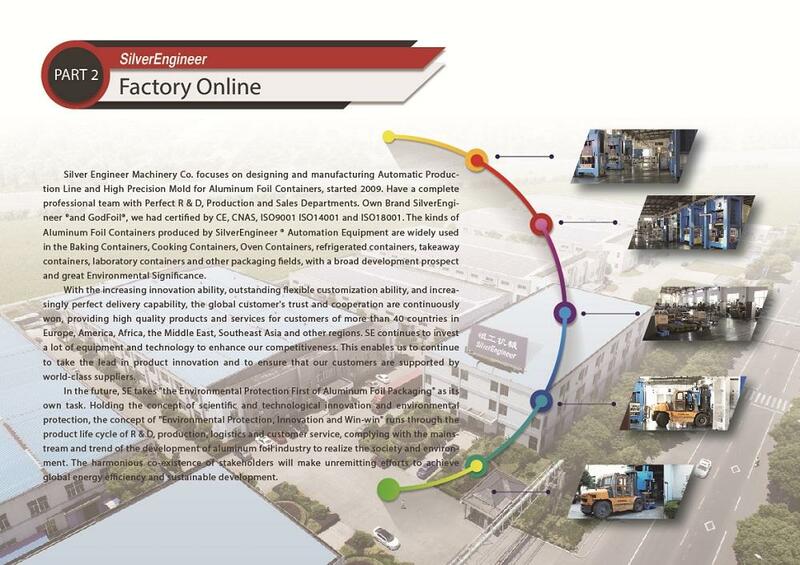 We can make the mould by ourselves. 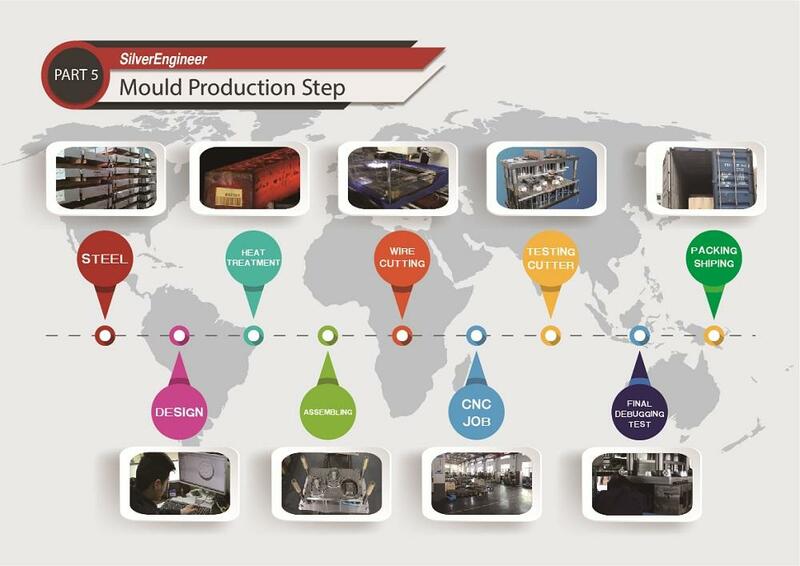 Special mould can help you gain greater profits. If a new and well designed container appears in a country market, it can sell higher prices. 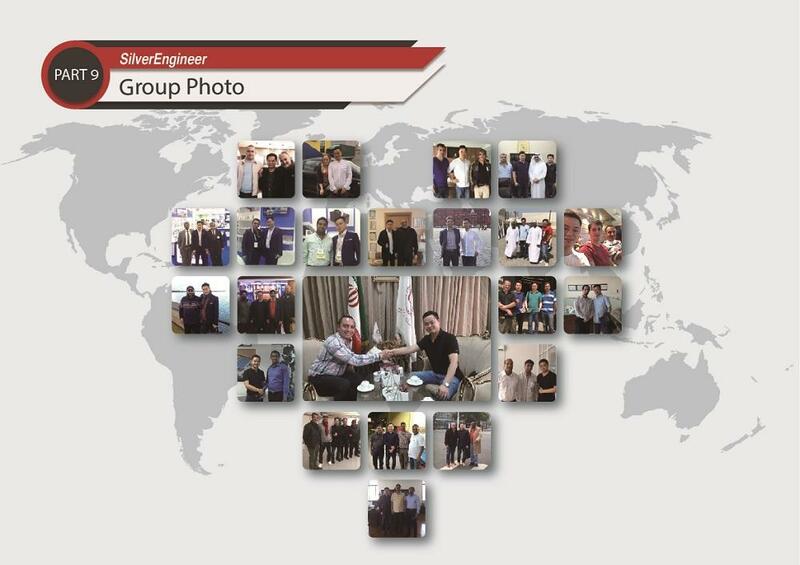 For example, one of our Customers in UK, we produce 450ml aluminum foil containers for 63mic for him, and in the UK market, the general thickness of this product is 45mic, so our customers have entered the high-end market. When the profits of others are getting lower and lower, his profits are very good. Of course, we can guarantee the quality of our moulds and not sell them to other container manufacturers in the market. With the rapid rise in the prices of paper and plastic, and people feel that these products is't environmentally friendly. There is a growing demand for aluminum foil containers is increasing on the worldThis is a very good business now and in the future. Aluminum Foil Container have more than 60years history used as food packaging, it can be every you need to pack. 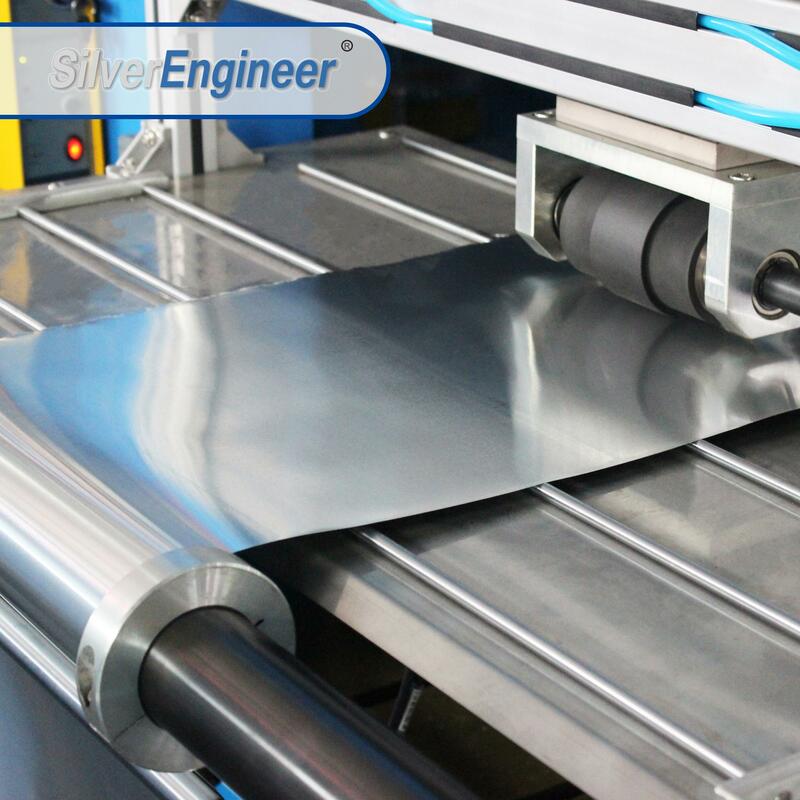 (1)Required Aluminum foil size :Width 782mm*Thickness 0.063mm ;(If the material arrive your factory total cost is 2600usd/Ton) Maybe cheaper !!! Scrap Aluminum foil price in your market about 1000usd per ton; do not forget that 14.6% scrap is also your profit. 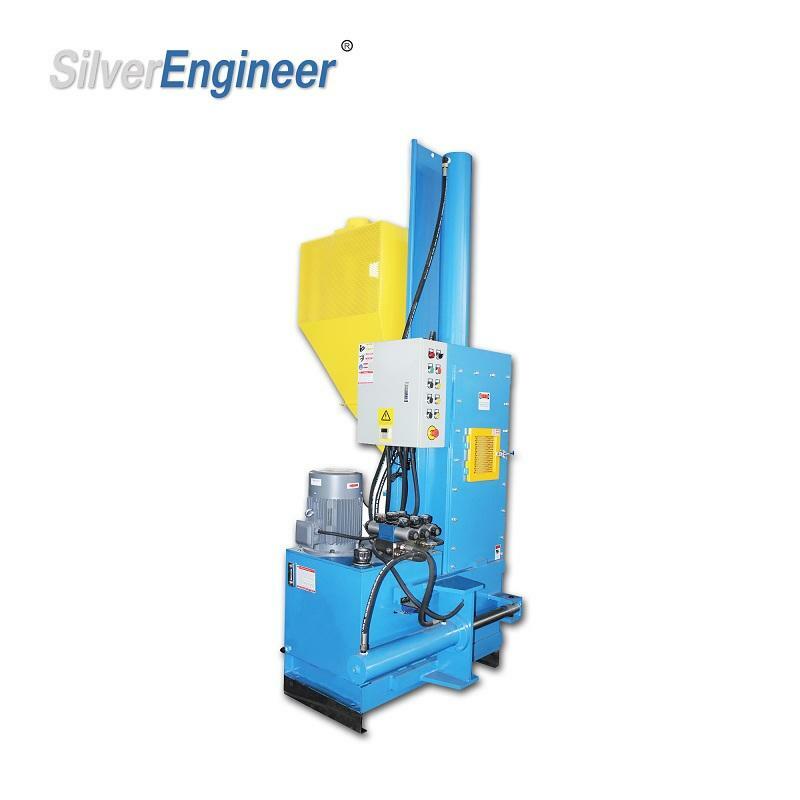 SE have the Press model: 55Ton, 63Ton, 80Ton,110Ton Common Feeder and Embossing Feeder ,Common Conveyor and Auto Stacker for your option. SEAC-63 is the perfect model to produce food containers. 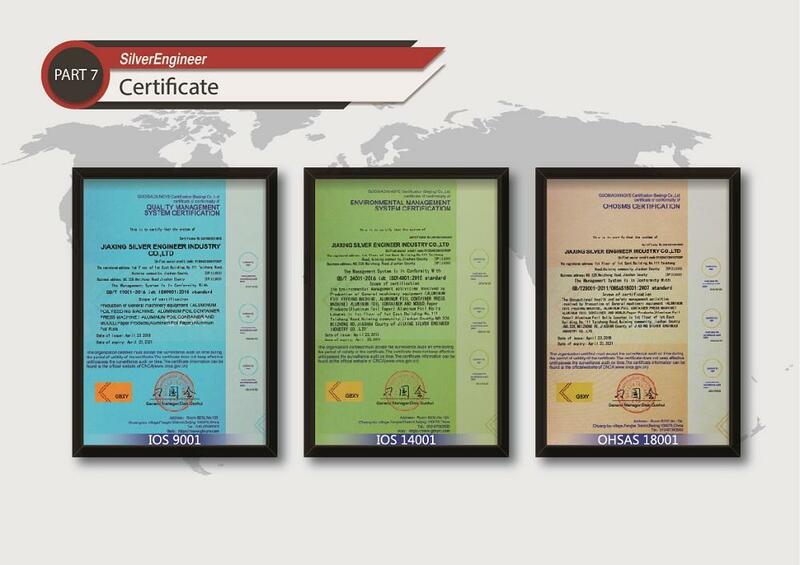 The container's quality accord to the International Environment Protect Standard. 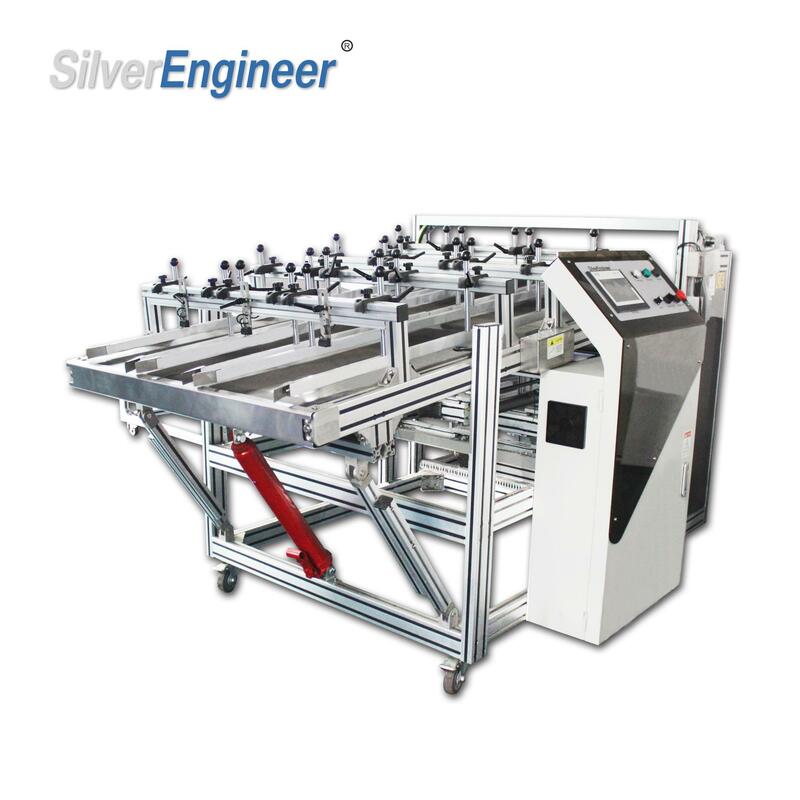 The Embossing Feeder is a nice design, it's a amphibious feeder,it could embossing the foil together feeding;and you can use it only to feeding foil, only need to adjust the emboss unit,so easy ! 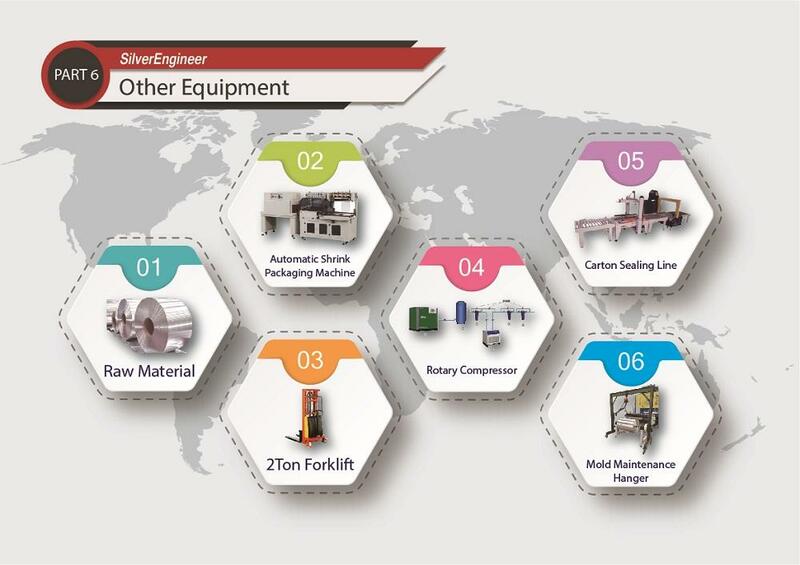 Auto Stacker will help you upgrade company capacity level and save labour cost !